Our highly experienced Management Team strive to deliver value engineering for every project we undertake. Our diversity of scaffold projects speaks volumes for the standard of service and level of reliability offered by Narford Scaffolding – and is a testament to our successful way of working. 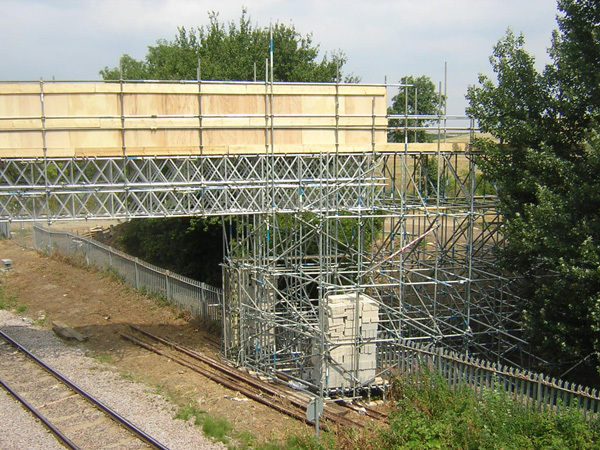 We have formed co-operative associations with specialist companies to enable us to provide modern methods of temporary access and protection, in addition to our traditional scaffolding practices. We operate nationwide offering a full range of scaffolding services to a wide variety of clients, providing a full scaffold design service and holding large stocks of scaffolding and lifting equipment. If you have a scaffolding project to discuss, our friendly reception staff are ready to take your call on 01760 720361. Get in touch with us today to discuss your scaffolding requirements.